Although most of the social-media buzz around Apple’s product launch today focused on the new iPad Mini, the tech giant’s ebooks program received a facelift, too. 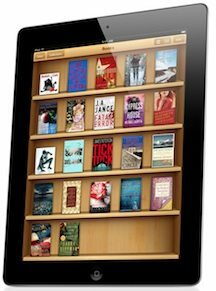 The new version of iBooks supports 40 languages, continuous page scrolling, and improved synchronization across devices. Thanks to a feature similar to Kobo’s Reading Life, readers can now highlight quotes from an ebook and share them on Facebook and Twitter. Aimed at textbook publishers, the latest version of iBooks Author includes embedded and custom fonts, fixed layouts, mathematical equations, new templates, and multi-touch widgets. Both iBooks and iBooks Author will be available for download later today.